The mission of ICA is to build a just and equitable society in harmony with planet earth through empowering cultural dimensions of the social process. All of its work is grounded in a set of strategies which facilitate sustainable community development by drawing upon assets and social capital in a collaborative manner. training services around the country. 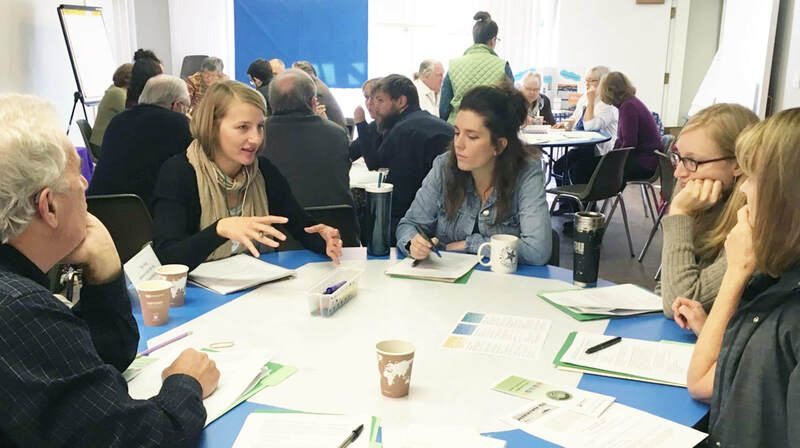 Partnering with members of the ToP Network, ICA celebrated it's history of resident-led comprehensive community development programs with Climate Action Conversations in October and November of 2016 in Austin, Chicago, Denver, Milwaukee, Phoenix, Tucson, and the Twin Cities. Each of the events, which engaged a total of 430 residents, had a unique approach, scale, and focus that best suited the local community and the social issue they decided was most pressing.